They say everything’s bigger in Texas, and that’s definitely true of the entertainment in San Antonio. We don’t just have playgrounds, we have world-famous theme parks. We’ve got more than neighborhood pools, we have mega water parks! And we don’t just have a petting zoo, we have over 750 species, including bears, lions, and buffalo at the San Antonio Zoo! Check out our list of the five best amusement parks and attractions in SATX below, then start planning your trip. If you combined an aquarium, a zoo, a circus, and an amusement park, you’d have SeaWorld! 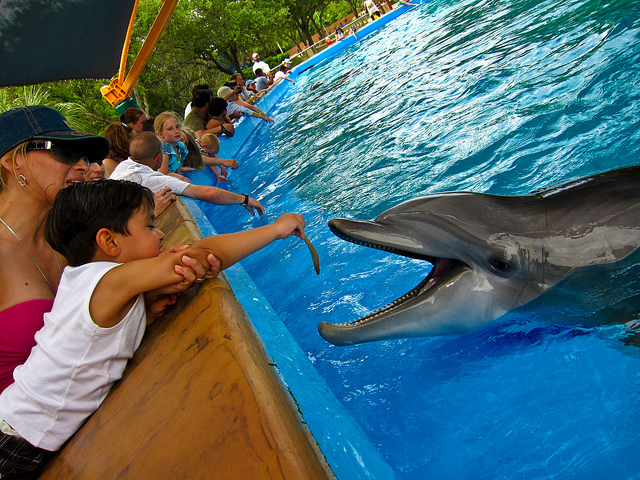 This theme park is the best of all entertainment with marine life exhibits, tropical bird and animal exhibits, acrobatic and dance performances, and amusement park rides. There are even roller coasters! They’re mostly known for their show, One Ocean, that showcases beautiful killer whales, and Discovery Point, where visitors can swim with dolphins. Other than entertaining and teaching visitors about marine life, SeaWorld’s mission is to rescue and rehabilitate animals in need. They’ve rescued over 30,000 animals so far! The park also has a water park called Aquatica. They offer tickets for admission to one or both parts of the park, and you can find ticket information on their website. 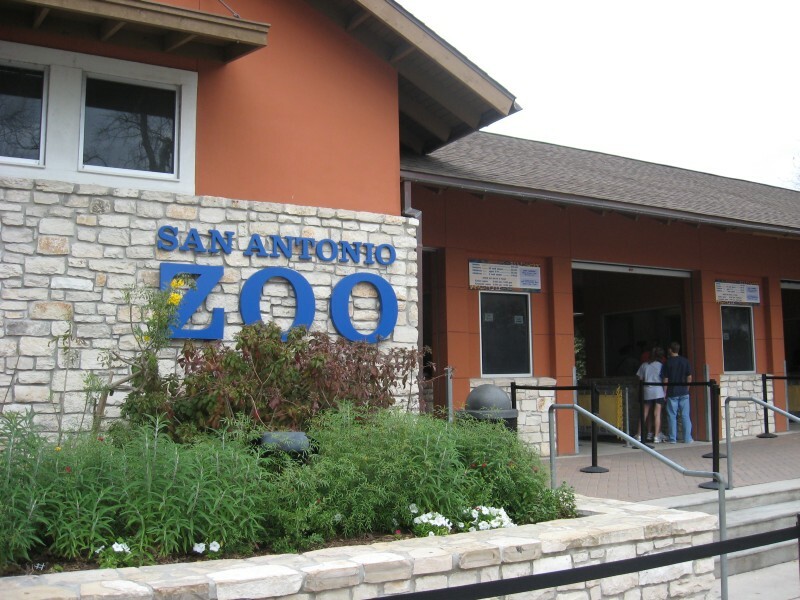 The San Antonio Zoo is unlike other zoos, with some of the most unique habitats and up-close views of exotic animals. The zoo has two of America’s first cageless exhibits: the Barless Bear Terraces and the Primate Paradise. They also have the world’s largest bird collections in the world, where birds fly freely through beautiful habitats like the simulated tropical rainforest. Visitors also highly anticipate getting to see the big cat display and African Plains full of large species like rhinos and zebras. Tickets range in price from $11 to $28 depending on age. You can find the calendar of events and ticket sales here. 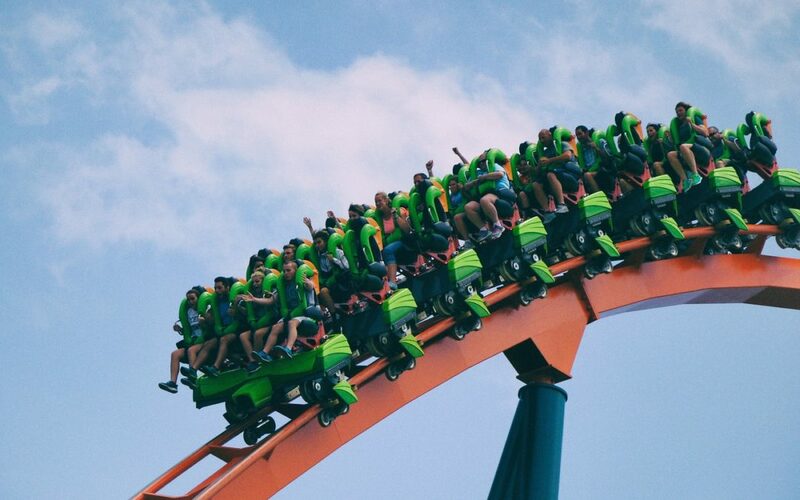 With more than 60 amazing rides, slides, shows, and attractions, including nine exhilarating coasters, Fiesta Texas is the perfect place for a day of fun and excitement with friends or family. If you’ve been to Six Flags in the past, you have to go again to check out the new rides they have added over the past few years, such as the Thunder Rapids Water Coaster and BATMAN: The Ride. While at the park, visitors can enjoy thrill rides, family rides, kids’ rides, water park rides, parades, events, dining, and gift shopping. Kiddie Park will take you back to the simple times of the 1920s when good old-fashioned fun meant riding the ferris wheel, tasting sweet cotton candy, and laughing with your family and friends late into the night. Kiddie Park is the oldest children’s amusement park in America, established in 1925! 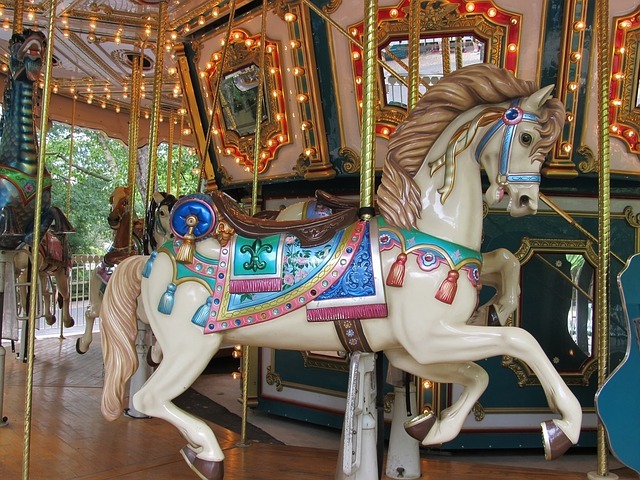 The park was renovated in 2009, but has preserved its 1920s style by maintaining all of the original rides, including the ferris wheel, the famous hand-carved Herschell Spillman carousel, and other classic children’s rides. Ticket information and park hours can be found on the Kiddie Park website. Splashtown San Antonio is one of the most popular water parks in SATX. It’s a great place to go on a hot summer weekend. The park remains open for a large portion of the year outside of the summer, as well, for as long as the weather is over 80 degrees. The park has over 50 rides and attractions, including speed slides, tube slides, kids’ slides, a lazy river, a wave pool, a movie screen, and more! The in-park dining options and rentable lockers make it easy to plan a full day or afternoon at the park. Parking is free, and ticket information can be found here. Fill your weekend with some excitement at one of these fun attractions in San Antonio! There’s fun for all ages, whether you’re a family of five, a young couple, or a group of friends, you can all enjoy one of the great amusement parks, water parks, or other unique attractions in SATX.